. . . My generation grew up reciting this every morning in school, with my hand on my heart. They no longer do that for fear of offending someone! Let’s see how many Americans will re-post and not care about offending someone! 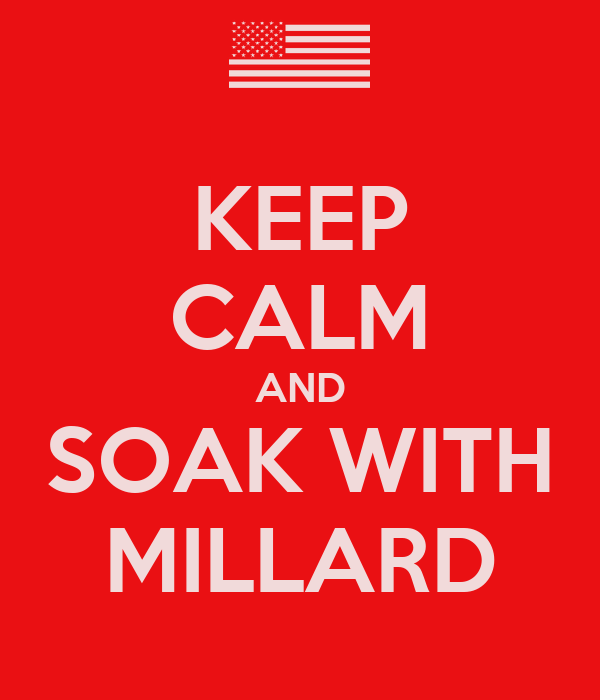 Not quite so long-lived as the Millard Fillmore Bathtub Hoax — which started in 1917 — but a lot more common these days. Just as false. Maybe more perniciously so. Actually, 45 of our 50 states require the Pledge of Allegiance in public schools. The five exceptions: Iowa, Hawaii, Oklahoma, Vermont and Wyoming. See any pattern there? None of the five states previously required the Pledge, and then stopped. None of the five states claim to not require the pledge in order to avoid offending anyone. Oklahoma would be happy to offend people on such issues, most of the time. Reposting historically inaccurate claims, without fear of offending anyone, is no virtue. It’s just silly. The creator of that poster is probably well under the age of 50, and may have grown up with the hand-over-heart salute used after World War II. That was not the original salute, and I’d imagine the author is wholly ignorant of the original and why it was changed. Wikipedia image and caption: Students pledging to the flag, 1899, 8th Division, Washington, D.C. Part of the Frances Benjamin Johnston 1890 – 1900 Washington, D.C., school survey. Swearing of the Pledge is accompanied by a salute. An early version of the salute, adopted in 1892, was known as the Bellamy salute. It started with the hand outstretched toward the flag, palm down, and ended with the palm up. 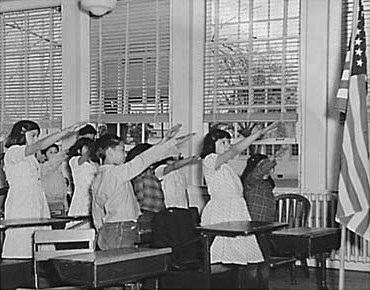 Because of the similarity between the Bellamy salute and the Nazi salute, developed later, the United States Congress instituted the hand-over-the-heart gesture as the salute to be rendered by civilians during the Pledge of Allegiance and the national anthem in the United States, instead of the Bellamy salute. Removal of the Bellamy salute occurred on December 22, 1942, when Congress amended the Flag Code language first passed into law on June 22, 1942. Students in an unnamed school in 1941, offering the Bellamy Salute for the Pledge of Allegiance. Wikipedia image. One might understand why the Bellamy Salute was changed, during war with Nazi Germany. Arrogance and ignorance combine to form many different kinds of prejudices, all of them ugly. The arrogant assumption that only “our generation” learned patriotism and that whatever goes on in schools today is not as good as it was “in our day,” regardless how many decades it’s been since the speaker was in a public school, compounds the ignorance of the fact that since 1980, forced patriotic exercises in schools have increased, not decreased. Ignorance is a terrible disease, but one easily cured, by reading. We can hope. This entry was posted on Sunday, September 15th, 2013 at 3:23 pm and is filed under Accuracy, Dunning-Kruger Effect, Education, First Amendment, Flag etiquette, History, Hoaxes, Law, Patriotism, Pledge to the flag, Public education, U.S. Flag. You can follow any responses to this entry through the RSS 2.0 feed. You can leave a response, or trackback from your own site. Rex Curry is scamming you. You gave no cite for your claim that the painting has been on display for more than 100 years at the Louvre, and that is because you have nothing that supports you. Thanks for providing more support for the work of the historian Dr. Rex Curry. As you discovered, the salute doesn’t go back as far as the ancient Romans. Also, it is not as old as the 1700s at least. The salute does not predate Bellamy. I think you were misled by wakipedia regarding the ancient Roman salute myth, and you let wakipedia mislead you again. You should not rely on wakipedia as it is merely an anonymous bulletin board that has a name that rhymes with “encyclopedia.” Aside from that neither you (nor wakipedia) explains how the gesture was adopted by German socialists. Aside from that the topic is actually about more than the mere gesture; the topic is about government repeatedly mandating a mechanical ritual of robotic chanting on cue in government schools (socialist schools) and at the command of government officials. That is also not addressed by wakipedia. That is related to your comment “Maybe the salute is coming back to the US” – in that the topic is not the gesture, it is about socialist governments repeatedly mandating a mechanical ritual of robotic chanting on cue in government schools (socialist schools) and at the command of government officials. So you have once again what you really are all about, and what you don’t want other people to know about you. You are not fooling anyone. The bigger problem is the authoritarian ritual that was borrowed by German socialists, and that continues daily in the US, and that you continue to support in the US. Ed, thank you for admitting the research of Dr. Rex Curry is correct. We are all grateful you finally confessed that the Nazi salute had everything to do with Francis Bellamy and the U.S. Pledge of Allegiance. The Oath of the Horatii was only displayed for a few weeks at the Salon in Paris in 1785. And for more than 100 years at the Louvre. It’s on display today. Maybe the salute is coming back to US? Rex, thank you for admitting the research of Mr. Rex Curry is faulty. We are all grateful you finally confessed that the Nazi salute had nothing at all to do with Francis Bellamy nor the U.S. Pledge of Allegiance. When you get home, say hello to Bizarro Superman for us all. Thank you for providing so much factual material that supports the work of the historian Dr. Rex Curry and for citing the website that archives much of his work (thus you know that all of your remarks confirm his work). David’s painting does not show the “Roman salute,” but shows three people reaching for weapons, two with their left hands. Even David does not support you, in that David never said what you are trying to say, in that he never referred to it, or to anything, as the “ancient Roman salute” nor as the “Roman salute.” That is because the concept/term “Roman salute” did not exist during his life. The description of that painting as a “Roman salute” is a very recent modern lie that was fabricated in order to cover up Dr. Curry’s discovery that the Pledge of Allegiance was the origin of the German socialist salute. It is good that you are not attempting to dispute that, and that you cannot cite anything in that regard. If you research the earliest example of that painting being described as an example of a “Roman salute” then you will provide yet more support for Dr. Curry’s work. In fact, if you research the earliest examples of the use of the term/concept “Roman salute,” then you will provide more support for Dr. Curry’s work. There are no other indicators earlier, as well. The Oath of the Horatii was only displayed for a few weeks at the Salon in Paris in 1785. That was before photography, film and television. 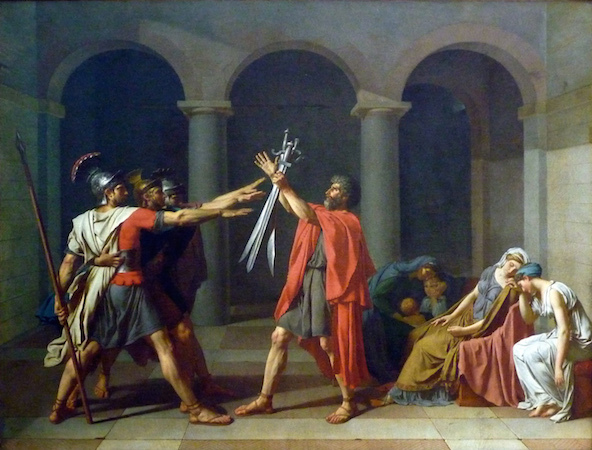 Any reliance on the Horatii painting is a concession the term “Roman salute” is incorrect and an argument that the term should be the “French salute.” The scene is an invention by a French artist. because there was no ancient Roman salute (which supports Dr. Curry’s work). So, the Roman salute was, indeed, not used by Romans. You have repeatedly relied on wakipedia, and each time you do, you do so in error, and now you are doing it for deception. If you believe that wakipedia is incorrect in supporting Dr. Curry’s work, then you could go “improve” it with the conclusion you wish to draw here. Let everyone know if you assist wakipedia, so that everyone can watch what happens after you do that. Everyone knows what will happen. glaring lack translates as more support for Dr. Curry’s work. All you have done is suggest another possible source for the gesture (you suggest that Hitler was confused by the Trajan column in the same manner that you are presently confused) but you haven’t shown anything that indicates Dr. Curry’s work is incorrect, as you do not negate Dr. Curry’s evidence as another possible source or explanation. So the question remains unaddressed by you: which possibility had more influence: others making the same mistake as you did regarding a small piece of the Trajan column; or decades of robotic performing of the gesture for the Pledge of Allegiance in and out of government schools (socialist schools) with threats, expulsions, persecutions, beatings, arrests, and even lynchings for those who refused (because it was considered so important)? And your claims that Italian socialists and German socialists did not steal it from the U.S. Pledge of Allegiance are revealed to be as false as they are scurrilous. (By the way, I never said it was “stolen.” That is your hyperbolic language). Of course, even if everything you cited was the way you claim, and was not the lie that you wish it to be, you continue to fail to tie it in to Italian socialists and German socialists. You keep forgetting that part. You fail to show when/how Italian socialists and German socialists made the same errors that you continue to make today. Did the socialists in Italy and Germany make all the errors you made, while at the same time somehow missing for decades the required daily robotic chanting in the US schools that was seen by German and Italian families that came and went from US schools, parades, sports, public meetings, events. newsreels, movies, WWI, and WWII? Did they miss all the public officials from city, county, state, and federal, who grew up ~1892 and thereafter (including presidents, congressmen, etc) who performed the gesture and robotic chanting publicly? Where are those photos and films today of the old pledge gesture and public officials performing it? Did any Germans or Italians ever see those, or did the US Pledge of Allegiance never have any impact on anyone, anywhere, at anytime? Not even one Italian was ever aware of it? Not even one German was ever aware of it? Is that your position? If you concede that the pledge must have had some influence on someone, somewhere, at sometime, then who, where, and when? How much? Why is it so important for you to cover up for the pledge and its putrid past? You could point to earlier depictions of people holding their arms in the air, and you could declare all of them to be the “ancient Roman salute” (even depictions that pre-date Rome) and it would be equally as wrong as how you have been duped by the Horatii lie. Try Egypt. Or examine some prehistoric cave drawings. A. The German use of the stiff-armed gesture under the socialist Hitler. B. The Italian use of the stiff-armed gesture under the socialist Mussolini. Question 1: which use was more well-known at the start of the modern Olympics in 1896? Question 2: which use was more well-known when the first film studios were built in 1897? Question 2: which use was more well-known at the turn of the century on January 1, 1900? Question 3: which use was more well-known during World War I (1914-1918)? Question 4: which use was more well-known immediately before Mussolini gained power in Italy? A. The American use of the stiff-armed gesture under the socialist Bellamy’s Pledge of Allegiance. B. The German use of the stiff-armed gesture under the socialist Hitler. C. The Italian use of the stiff-armed gesture under the socialist Mussolini. The socialist Bellamy created the Pledge of Allegiance in 1892. The answer to questions 1 through 5 is A. The American use of the stiff-armed gesture under the socialist Bellamy’s Pledge of Allegiance. Here is another question: which of the three uses above (A. B. or C.) lasted the longest? Most people answer incorrectly that the Hitler salute lasted longer because Hitler died later than Mussolini, and the U.S. Congress amended the flag code in 1942 so that it no longer mentioned the extended-arm gesture. But the question is a trick question because all Americans did not immediately follow the flag code. Some did not want to follow the flag code. The long-standing use of the stiff-armed salute in the USA persisted for more than a decade after 1942. The robotic chanting to the flag on cue in government schools (socialist schools) continues to this day, along with persecution for students who refuse (although the gesture was changed to hide the pledge’s putrid past). Socialist Bellamy ritual 1892-1942 (and beyond, even beyond WWII. And the pledge lives on today). As the figures show, the Socialist Bellamy salute had about 3 decades of more impact preceding the Socialist Hitler salute and the Socialist Mussolini salute. It also outlived them. It is sad that you wish that the facts did not support Dr. Curry’s work, and that makes you totally out to lunch. I urge you to seek counseling. 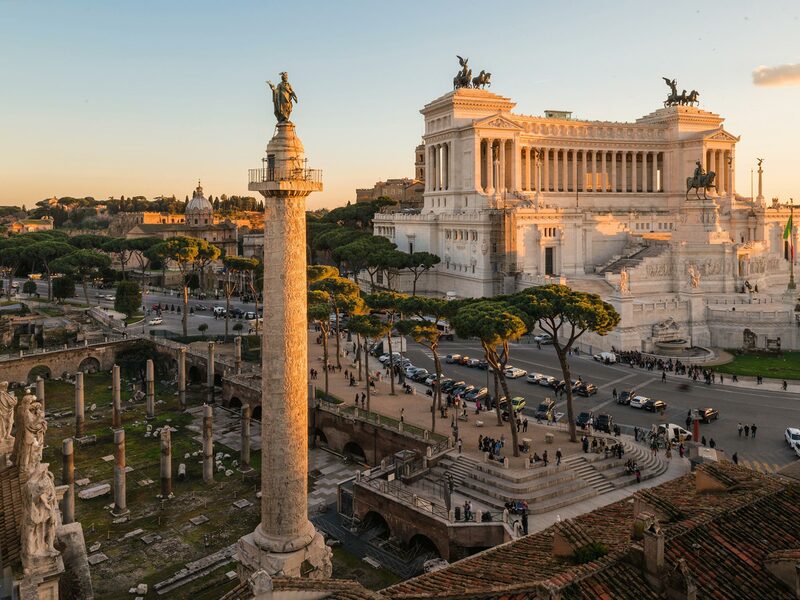 Then there is Trajan’s column. Trajan led the war to bring Dacia into Rome’s orbit. The column depicts events of the two Dacian wars. The column was completed in 113 CE. In short, it’s nearly 2,000 years old. And it depicts the Roman salute. So, the Roman salute was, indeed, used by Romans. And claims that the fascists in Italy and then Germany stole it from the U.S. Pledge of Allegiance are revealed to be as false as they are scurrilous. Did you actually figure out the earliest evidence of the gesture as used in the modern Olympics? No. The “Oath of the Horatii” was 1785, 101 years before the modern Olympics. There are other indicators earlier, as well. Actually, I said just the opposite. Curry’s conclusions are wrong at best, and totally out to lunch. When next you see Mr. Curry, urge him to seek counseling. Thank you for conceding that the work of the historian Dr. Rex Curry is correct. You have cited the website that archives much of his work, so you know that all of your remarks confirm his work. It is good that you have conceded that you have no evidence of any “ancient Roman salute” that ancient Romans performed as the Nazi gesture. You have learned a lot about the pledge here from me (Tinny Ray). It is sad that you were deliberately misled by wakipedia about the “Roman salute” and that you discovered that wakipedia actually concedes what I said in my earlier post: that there is no evidence of the gesture in ancient Rome. It is clear that, thanks to me, you have abandoned your earlier claim, and you are now trying to re-cast your prior error by using the term “Roman salute” in a generic manner, while you concede that there is no evidence of any such gesture in ancient Rome. Thank you for also quoting the Smithsonian which, despite what you may wish, also supports Dr. Curry’s work. You are doing with the Smithsonian what you did with wakipedia. All you do is keep citing material that supports Dr. Curry’s work, while you apparently confuse yourself about what it states. The very part you quote does not dispute Dr. Curry’s work: “The origin of the salutes is unclear.” It then confirms what I told you and what you now concede: “Some people think that both the Olympic and the Nazi versions came from an imaginary Roman salute (imaginary because there are no Roman accounts of this salute, but 19th and 20th century artwork all portrayed Romans doing it).” Next, the writer Rose Eveleth fails to mention when the gesture was adopted by the Olympics (here is a clue: after the American socialist Francis Bellamy created and promoted the Pledge of Allegiance, which was performed with the gesture. She might be similar to you in that she just by gosh is NOT going to mention that). If you communicate with Rose Eveleth, as I have, you will discover that, when she wrote the article, she was completely ignorant of Dr. Curry’s work and of Francis Bellamy and the use of the gesture for decades before it was adopted by German socialists. You will discover that Rose Eveleth does not dispute Dr. Curry’s work. In her earlier ignorant article she states “…and then also by the Italian Fascist Party. From there, the Nazi party swiped the salute to use for their own rituals,” again showing her ignorance in that the name of the party was not the Nazi party, and then she cites the discredited Table Talk (which fabricates quotes about Hitler) and which is also clearly wrong because what is in the quote does not exist: “I’d read the description of the sitting of the Diet of Worms, in the course of which Luther was greeted with the German salute.” That is why you cannot cite anything in order for you to gain support for yourself from Hitler (or his fake quote). As you can see Rose Eveleth could not either, and she will confirm her lack of any support for that part of the quote. Aside from that the quote does not say when Hitler allegedly “read the description” so that he is not stating that his reading was the origin of the gesture for him. You concede Dr. Curry’s work again with this part of the quote “It was in the Ratskeller at Bremen, about the year 1921, that I first saw this style of salute.” Thank you for again conceding Dr. Curry’s work. You ask “Who to trust on this, Smithsonian’s historians and editors, or Dr. Curry’s work?” and then you answer for yourself with your comment that you and the Smithsonian trust Dr. Curry’s work and you all support it with your information. You continue to incorrectly think that Hitler would have to specifically reference Francis Bellamy and the Pledge of Allegiance in order for the pledge to have been the origin of the Nazi salute and Nazi behavior. There is no “Olympic statue showing salute used at first Modern Olympics in 1896” but if there were, then 1896 would be after 1892, the date of the promotion of the Pledge of Allegiance. There is a statue from the Dutch Sculptress Gra Rueb, at entrance to Olympic stadium in Amsterdam, Netherlands, for the 1928 Olympics which, of course, is decades after 1892, when the pledge chanting started. Thanks again. Ditto for your poster graphic from 1924. Did you actually figure out the earliest evidence of the gesture as used in the modern Olympics? Dr. Curry did. If you work on that then you will provide more support for Dr. Curry’s work. It was sad to see your posting of the absurd youtube video with your comment: “English re-enactors in their research discovered this salute used by Roman soldiers. Someone should ask Rex Curry to seek them out and find their sources.” So you go from citing wakipedia to citing pointless youtube videos. Try to focus. And finally you get around to David’s painting which does not show the “Roman salute,” but shows three people reaching for weapons, two with their left hands. Even David did not say what you are trying to say, in that he never referred to it, or to anything, as the “ancient Roman salute” nor as the “Roman salute.” The use of that painting to show a “Roman salute” is a very recent modern lie that was fabricated in order to cover up Dr. Curry’s discovery that the Pledge of Allegiance was the origin of the German socialist salute. Seriously, what is the earliest example of that painting being described as an example of a “Roman salute”? If you work on that, you will provide more support for Dr. Curry’s work. In fact, if you research the earliest examples of the use of the term/concept “Roman salute,” then you will provide more support for Dr. Curry’s work. See the Kahn Academy piece on the importance of the painting, but note especially the date, 1785 — more than a century before Francis Bellamy’s pledge of allegiance to one’s nation. A style of Roman salute used in a poster for the 1924 Olympic games in Paris, again showing that people around the world believed this salute to be historical, not borrowed from the U.S., prior to the rise of Nazis. You cited wakipedia. You do not think there is ample evidence of a raised arm salute dating back to ancient Rome (or you would cite it). There is nothing on your site that provides any such evidence. If you had any you would have cited it. You have learned a lot about the pledge here. It is clear that, thanks to me, you have abandoned your earlier claim, and you are now trying to re-cast your prior error. You claim to be the expert. You hadn’t looked? I thought we were done. It’s not clear that the Romans had a formal salute of the type, but it’s been a staple of Western Art for hundreds, if not a thousand years. Smithsonian did a piece on the salute, quoting Hitler on his adoption of it — and oddly, to you, Francis Bellamy played no role at all. Who to trust on this, Smithsonian’s historians and editors, or some guy who refuses to give his name but is held in thrall to a Florida history crank named Curry? You know, now that I told you to re-read, that my comment about your misunderstanding wakipedia was correct. If you find Wikipedia in error, take your sources and correct the error. Generally Wikipedia does not beat all other encyclopedias in accuracy, especially over time. Errors and bias are not methodically sought out and removed. Deliberate lies are posted on wakipedia. Errors and bias are methodically put in, and attempts at removal of lies are reversed. For example, regarding Francis Bellamy, add to wakipedia a comment about old film footage shows children making the initial military salute and then extending it outward to point at the flag (in the classic Nazi gesture) and also try adding such film footage, or even a link to such film footage. Let us know, so we can watch what happens. You know what will happen. Who publishes and edits you? No one? The Nazi salute was based on the U.S. Nazis did like U.S.-originated culture and that was not part of the origin of their gesture anyway. Irrelevant. Don’t make the mistake of so many socialists/fascists, of assuming that German socialists did not copy other westerners, and that modern socialists/fascists avoid that mistake and so are somehow purified. Not so. Socialism/Fascism is evil all by itself. Socialism/Fascism does not need to claim it borrows evil from other cultures. Almost never so. Both Hitler and Mussolini were socialists. Hitler and his supporters did not call themselves fascists (you are probably learning that right here, right now, from me). Mussolini was a long time socialist leader when he learned of the socialist gesture (that had originated in the USA). Socialists/Fascists favor rich corporate interests who support authoritarian governments, and do not work to protect citizens from negative externalities, do not work to prevent or stop monopolies, and do not work to keep competition fair. If you claim to have evidence that the German socialist gesture did not originate in the USA, then you are probably making it up. Are you making up your bio, in that you not only cite wakipedia, you easily fall for its misleading info? Why should we listen to you, when H. W. Brands, David McCullough, or any other mainstream historian does not dispute Dr. Curry’s work, and there work supports Dr. Curry’s work? No one has ever heard of you, not impressed with the non-existent research you have on this topic. Not impressed with how you cite wakipedia, cite it when it does not support you, and you fall for its misleading info. It is revealing how the anonymous bulletin board (known as Wakipedia) no longer explains that the Pledge of Allegiance was the origin of the Nazi salute and Nazi behavior (that is one of the amazing discoveries of the historian Dr. Rex Curry, as described in the many books about Dr. Curry’s work). Wikipedia is anonymous at all. History of the anonymous screen name used to put what in which article, and when, and how the article is changed, is forever listed in the history of the article. You have just admitted that wakipedia is unreliable and that anyone who made the mistake of trying to cite it would have to include the date and time (down to the millisecond) in order for anyone to even attempt to verify an attempted citation of wakipedia. Wakipedia is cryptic in that it is silent on the topic. In the past, the bulletin board did confirm Dr. Curry’s work. That is a continuing problem at the anonymous bulletin board: it changes by the millisecond and is an ongoing victim of people who deliberately delete the truth. Now, wakipedia simply confirms much of Dr. Curry’s work, including that the early pledge began with a military salute that was then extended outward to point at the flag (thus the stiff-arm gesture came from the pledge and from the military salute). The pledge was written in 1892 for kindergartners to be forced to recite under the flag at government schools (socialist schools). Intended specifically for school use. Francis Bellamy pledge was part of a program to impose government schools (socialist schools) for a government takeover of education (the same socialist/fascist goal that you support). He and his cousin/cohort called their dogma “Christian socialism” and “military socialism” (their term) and they adored the military so much that they wanted the military system imposed on all of society. I think you need to look at other stuff going on in history at the time before you deny, without justification, a conspiracy that is in evidence and that was openly trumpeted by the Bellamys as their dogma. The pledge was written by an American socialist who influenced other socialists worldwide, including German socialists, who used the gesture under their flag’s notorious symbol (their symbol was used to represent crossed “S” letters for their “socialist” dogma -another of Dr. Curry’s discoveries). Francis Bellamy was a Baptist preacher, a devoted Christian. a Socialist. a fascist. Why do you support the socialist/fascist behavior created by Bellamy of robotic chanting in mass on cue in government schools (socialist schools)? You make the error of thinking that the origin of the gesture from Bellamy was know when it was picked up by German socialists. This helps to explain why you continue to be so totally wrong on this topic. You’re not making a good case. Wakipedia simply fails to cover some of the topics in its short article. The pledge continues to be the origin of similar behavior even though the gesture was changed to hide the pledge’s putrid past. The pledge is central to the US’s police state and its continued growth. The Pledge of Allegiance is an historical anachronism. Francis Bellamy had evil intent. I wish I were sure you don’t. But you continue to be afraid to actually state what you think about the ritual in government schools (socialist schools). You aren’t fooling anyone. I see that there is a Dr. Rex Curry who is an instructor at Hillsborough Community College in Florida; he is said there to be “a leading authority on” Edward and Francis Bellamy. He teaches law. Although there is quite a bit of relatively recent material published in peer-reviewed journals on Edward Bellamy, a casual search revealed no pieces by (or referencing) Rex Curry. I’m not saying they’re not there–my interest in this is minimal–but I didn’t find anything, and it’s usually not that hard to turn up references to “leading authorities” in the literature. You should not rely on an anonymous bulletin board as a reference (although you do so because you have nothing else that you imagine assists you). 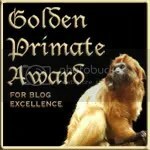 My bio is on this blog. Generally, I find people who make assertions based on one biased blog assume all others do the same. Look around this blog on U.S. flag history, you can learn my background and sources are quite a bit deeper and more numerous than you assume. You need to re-read Wikipedia as it does not support you. It supports Dr. Curry’s work. However, wakipedia is artfully written to deliberately mislead people (as it misled you) when you wrote: “The U.S. Pledge of Allegiance was not the origin of the Roman salute, developed over a thousand years before. That’s the salute the Nazis picked up.” Wakipedia not only does not say that, it states the opposite in that it states that there is no evidence of an ancient Roman salute developed over a thousand years before (and thus it does not state that is where German socialists picked it up). You are another victim of the anonymous bulletin board that you imagine helps you. I didn’t base my claim on what Wikipedia said. I think there is ample evidence of a raised arm salute dating back centuries. If you find Wikipedia in error, take your sources and correct the error. Generally Wikipedia beats all other encyclopedias in accuracy, especially over time. Errors and bias are methodically sought out and removed. Who publishes and edits curry? No one? See here for problems of self-publishers who argue all other historians are in error: Bogus History. Immaterial, really. The Nazi salute was not based on the U.S. Nazis didn’t like U.S.-originated culture. Don’t make the mistake of so many fascists, of assuming the Nazis erred in copying other westerners, and that modern fascists avoid that mistake and so are somehow purified. Not so. Fascism is evil all by itself. Fascism does not need to claim it borrows evil from other cultures. Almost never so. Neither Hitler nor Mussolini were socialists. They were fascists. Most historians and political scientists regard socialism, and communism (which is not socialism, per se) to be quite the opposite of fascism. It’s not a wholly perfect observation, but it’s mostly true. Socialists favor regulation of industry to keep competition between companies fair, and to keep the contract relationship between workers and employers fair and even. Socialists favor regulation to keep private companies from dumping “negative externalities” like water and air pollution, or tainted food and milk, on a relatively defenseless public. Communists tend toward government ownership of industry, or “the means of production” in economic jargon. Fascists favor rich corporate interests who support authoritarian governments, and do not work to protect citizens from negative externalities, do not work to prevent or stop monopolies, and do not work to keep competition fair. If Curry claims to have evidence Nazis copied their salute from America, he’s probably making it up. My name is not Rex. Could have fooled me. I see no separation. Dr. Curry has a Juris Doctor degree. You don’t have a doctorate do you, Ed? If you have any degree at all, where did you earn it? You could check my bio. My BS in Mass Communication comes from the University of Utah, where I also majored in biology. I did graduate study in rhetoric at the University of Arizona, and my JD comes from the National Law Center, George Washington University, with heavy coursework in environmental law and land development. I’ve staffed the U.S. Senate, worked at American Airlines, Ernst & Young and Verizon Wireless, and practiced solo as a lawyer and a consultant. I’m certified to teach social studies in Texas, and have taught law, history and economics in Texas schools and colleges. Why should we listen to Curry over H. W. Brands, David McCullough, or any other mainstream historian? Where does he teach, what is his publishing record? Never heard of him, not impressed with the shallow research in the pieces you’ve linked here. Wikipedia is not anonymous at all. History of who put what in which article, and when, and how the article is changed, is forever listed in the history of the article. So the editors of Wikipedia could not verify Curry’s claims. That doesn’t speak well of Curry’s work. For children, not just kindergarteners — on the quad-centennial of Columbus’s discovery of Americas for the Europeans. Not intended for school use, not even specific to the U.S. in the original version. 1892 was prior to compulsory education getting even half the eligible child population of the nation, in an era when most children would be sent off to work in their early teens. I think you need to look at other stuff going on in history at the time before you assume, without justification, a conspiracy that is not in evidence. Francis Bellamy was a Baptist preacher, a devoted Christian. Socialist, not fascist. If German socialists had picked up on Bellamy’s work, the Nazis would have banned it as they did all other socialist advances in civilization. You’re not making a good case. The Pledge of Allegiance is an historical anachronism. Some states require public school kids to say it, some don’t — if you want to find where it’s celebrated, look to the Christian private schools and segregation academies. Francis Bellamy had no evil intent. I wish I were sure you don’t, either. You should not rely on an anonymous bulletin board as a reference (although you do so because you have nothing else that you imagine assists you). You need to re-read Wikipedia as it does not support you. It supports Dr. Curry’s work. However, wakipedia is artfully written to deliberately mislead people (as it misled you) when you wrote: “The U.S. Pledge of Allegiance was not the origin of the Roman salute, developed over a thousand years before. 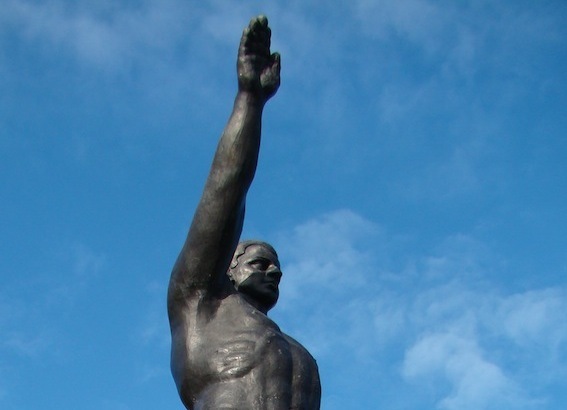 That’s the salute the Nazis picked up.” Wakipedia not only does not say that, it states the opposite in that it states that there is no evidence of an ancient Roman salute developed over a thousand years before (and thus it does not state that is where German socialists picked it up). You are another victim of the anonymous bulletin board that you imagine helps you. My name is not Rex. Dr. Curry has a Juris Doctor degree. You don’t have a doctorate do you, Ed? If you have any degree at all, where did you earn it? It is revealing how the anonymous bulletin board (known as Wakipedia) no longer explains that the Pledge of Allegiance was the origin of the Nazi salute and Nazi behavior (that is one of the amazing discoveries of the historian Dr. Rex Curry, as described in the many books about Dr. Curry’s work). Wakipedia is cryptic in that it is silent on the topic. In the past, the bulletin board did confirm Dr. Curry’s work. That is a continuing problem at the anonymous bulletin board: it changes by the millisecond and is an ongoing victim of people who deliberately delete the truth. Now, wakipedia simply confirms much of Dr. Curry’s work, including that the early pledge began with a military salute that was then extended outward to point at the flag (thus the stiff-arm gesture came from the pledge and from the military salute). 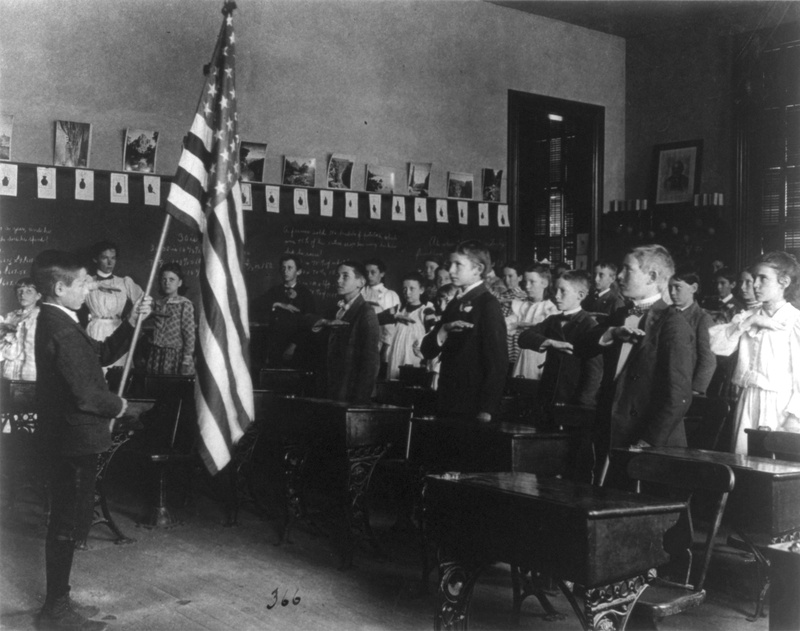 The pledge was written in 1892 for kindergartners to be forced to recite under the flag at government schools (socialist schools). The pledge was written by an American socialist who influenced other socialists worldwide, including German socialists, who used the gesture under their flag’s notorious symbol (their symbol was used to represent crossed “S” letters for their “socialist” dogma -another of Dr. Curry’s discoveries). Wakipedia simply fails to cover some of the topics in its short article. The pledge continues to be the origin of similar behavior even though the gesture was changed to hide the pledge’s putrid past. The pledge is central to the US’s police state and its continued growth. Rex, what is your doctorate in? Where did you earn it? Wikipedia has its history correct. The U.S. Pledge of Allegiance was not the origin of the Roman salute, developed over a thousand years before. That’s the salute the Nazis picked up. And when it became clear that fascists in Europe used the Roman salute, Americans developed a different one to be sure there was no confusion. Your views differ from the generally accepted history of the pledge, and history of the Bellamy brothers. In 1891, Daniel Sharp Ford, the owner of the Youth’s Companion, hired Bellamy to work with Ford’s nephew James B. Upham in the magazine’s premium department. In 1888, the Youth’s Companion had begun a campaign to sell American flags to public schools as a premium to solicit subscriptions. For Upham and Bellamy, the flag promotion was more than merely a business move; under their influence, the Youth’s Companion became a fervent supporter of the schoolhouse flag movement, which aimed to place a flag above every school in the nation. Four years later, by 1892, the magazine had sold American flags to approximately 26,000 schools. By this time the market was slowing for flags, but was not yet saturated. In 1892, Upham had the idea of using the 400th anniversary of Christopher Columbus reaching the Americas to further bolster the schoolhouse flag movement. The magazine called for a national Columbian Public School Celebration to coincide with the World’s Columbian Exposition. A flag salute was to be part of the official program for the Columbus Day celebration to be held in schools all over America. The Pledge was published in the September 8, 1892, issue of the magazine, and immediately put to use in the campaign. Bellamy went to speak to a national meeting of school superintendents to promote the celebration; the convention liked the idea and selected a committee of leading educators to implement the program, including the immediate past president of the National Education Association. Bellamy was selected as the chair. Having received the official blessing of educators, Bellamy’s committee now had the task of spreading the word across the nation and of designing an official program for schools to follow on the day of national celebration. He structured the program around a flag-raising ceremony and his pledge. (* ‘to’ added in October 1892). The recital was accompanied with a salute to the flag known as the Bellamy salute, described in detail by Bellamy. During World War II, the salute was replaced with a hand-over-heart gesture because the original form involved stretching the arm out towards the flag in a manner that resembled the later Nazi salute. (For a history of the pledge, see Pledge of Allegiance). In 1954, in response to the perceived threat of secular Communism, President Eisenhower encouraged Congress to add the words “under God,” creating the 31-word pledge that is recited today. “The true reason for allegiance to the Flag is the ‘republic for which it stands’. …And what does that last thing, the Republic mean? 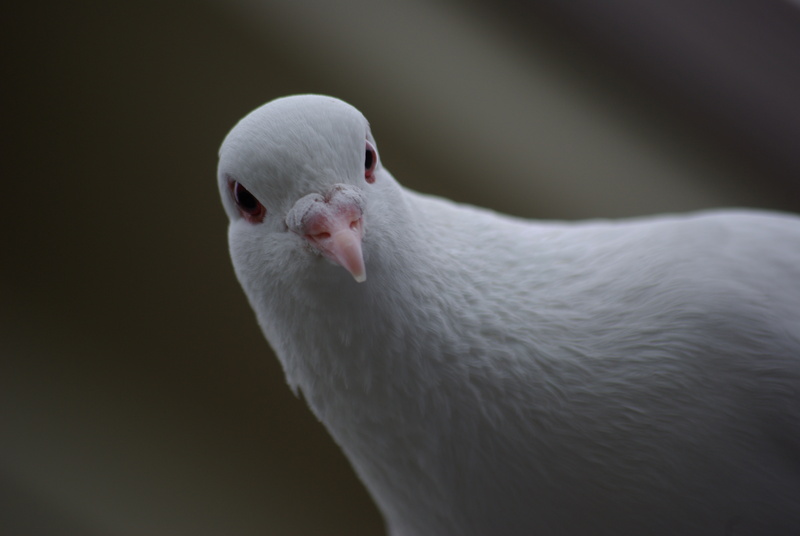 It is the concise political word for the Nation – the One Nation which the Civil War was fought to prove. To make that One Nation idea clear, we must specify that it is indivisible, as Webster and Lincoln used to repeat in their great speeches. And its future? These histories are freely available on the web, and sound a lot less sinister from better verified sources. state and its continued growth. No God, no idolatry, no worship of a symbol (the FLAG!!!) that can be made to mean whatever somebody wants it to mean, an acknowledgement that America has an ethnically-mixed heritage, and also that while that promise of “liberty and justice for all” has been made, it hasn’t exactly been achieved yet. We had to say it in grade school (early 80’s) but never had to say it past that point. I’ve never quite figured out the point of compelling someone, especially children, to say the pledge. One should say the Pledge by one’s own choice, not because someone else told you to. I started public school in 1970. The POA was said from K through about 4th grade. But afterward, not so much. That was suburban Pittsburgh. Moved to Ohio, where it was never said that I could remember in public schools. Oh, maybe before an assembly once a month or something. But when I switched over to private, Christian school…the POA was NEVER said. EVER. Not because of any ethic in operation. There was plenty of jingoistic nonsense and faux history being taught in the classrooms. They just didn’t have the time. And at the time, I thought it was a crock that they didn’t. But then, I was a jingoistic, right wing nut job. Since then, I’ve read my Bible. And the Church Fathers. And the founding fathers. Putting “under God” in the Pledge did nothing to serve America or the Christian faith. If anything, it has diluted and weakened both. And while we’re at it, let’s get “In God We Trust” off our money. That never computed for me. Thanks for this, Ed. It’s excellent! 46 out of 50. The poster is even more wrong. Funnily enough, I grew up in Oklahoma. The state may not have required us to say the Pledge every morning, but we did anyway. Thanks for the memories, everybody. I’d love to hear from someone who came through the schools in the last decade or so. I wonder if they ever got the message about what the Pledge means. I’d like it out as a Christian because to me it’s nothing more than taking God’s name in vain. That and it smacks of Frank Burns and Colonel Flagg. Yes, “The best lack all conviction, while the worst Are full of passionate intensity” or whatever it was Yeats wrote. I learned the pledge of allegiance in school a year or so after the words “under God” were put in and the teachers and other adults who had learned it without the words kept stumbling over it. I remember somebody–I think it was our school principal–who when called on to join us in the pledge, inevitably said the word “indivisible” while we were saying “under God”, and then would pause for a moment for us to catch up. I spent some time in early grade school (first or second grade I suppose) trying to work out the meaning of the pledge, which nobody ever bothered to officially explain to us. Classmates I talked with regarded it either as a meaningless ritual (just one of those things you have to do in school) or as some sort of patriotic duty not to be questioned or understood. I had to look up the words “pledge”, “allegiance”, “republic”, and “indivisible”–which is to say I asked my mother or father what they meant–and tried to puzzle out the meaning of phrases such as “for which it stands”. The word “indivisible” was a particular stumbling-block: what, exactly, was indivisible? God? My father (I think it was) explained to me that it meant that the United States was a single nation, not a mere collection of sovereign states, and that it could not be divided, and gave me some context about the civil war. So how did God fit in? I wanted to know. Nobody could really explain it, though my mother gave me to understand that it was something to do with politics and making people feel good and I would get it when I was older. A bit later, when I was in fourth grade and my brother in third, we had a discussion about the meaning of the pledge. My brother said that while he didn’t necessarily understand the individual words of the pledge, he got the meaning of it, which was that he would never wave any flag higher than ours, and that he would be willing to lay down his life if necessary for the flag. While I had a high appreciation for our flag–one of my favorite possessions was a fifty-star flag I had bought about the time our school was replacing its old forty-eight star flag with a forty-nine star flag–that interpretation seemed a bit over-the-top to me. We both agreed, however, that the phrase “under God” was just silly, and we weren’t going to say it any more. And we didn’t. At some point in grade school I became aware that the words “under God” were not an original part of the pledge; I saw the pledge written without them in an old book that had belonged to my father when he was a child. I think it was an old Boy Scout manual; at any rate it had material in it about identifying types of clouds and animal footprints and other woodsy lore. I believe it was in that same book that I saw a salute with outstretched hand (the Bellamy Salute I suppose) that I liked better than our hand-over-the-heart gesture. Seeing the old pledge and salute made me aware, at any rate, that what we were learning in school wasn’t necessarily the way things had always been done–though, honestly, it wasn’t until the advent of the internet that I realized just how recently these changes had been made. My generation also had to learn to add phrase “under God”. We also got to watch the McCarthy hearings on the old black and white where you were called a commie if you did not like what he decreed. I will only pledge in the original form and I do inform the younger folk of the origins of the newer version. I think the part that irritates me most is those who know better my age and all who way whats wrong with God in the pledge, leave it alone. They have no idea how offensive it is to some knowing that it is meant to be only the Christian version of God. The secular version is the heart and soul of the pledge, the addition is not. I would add if we were all going to add something, like this I pledge allegiance to the Flag and the Republic for whic it stands, one nation indivisible, ever working for peace, with liberty and justice for all. Now its not the way it is but it is less offensive than the current one. Amen. Highly ironic that the phrase “one nation indivisible,” had its own indivisibility sacrificed to religious fanatics. My generation had to learn to add the phrase “under God.” I’d like it out. I don’t believe a reference to my Creator belongs in a secular pledge of loyalty to a human government. Furthermore, the founders of this country saw no reason to require a loyalty pledge from its citizens. I’m quite positive most people, unless they are old enough to remember, are unaware of the original Bellamy salute. When I visited the Memorial Day Museum in Waterloo, NY, a few years back, the curator told me I was the first visitor who had ever mentioned it to her. BTW, nice museum if you’re ever in the area. If I feel compelled to recite the PoA, I recite it in its original form. That phrase “one nation indivisible” was quite important to the writer. No words stuck in and no comma. One nation indivisible. I recently read that most people cannot give a definition of the word “indivisible.” I find that disheartening, since that’s what the original PoA was all about.